Take a moment. Look back and reflect on your youth. Were there any hasty decisions you might have made with your friends? Singer, songwriter, musician, and native son Brandon Hardesty is all too familiar with the repercussions of choosing a bawdy euphemism for his band’s name. Hardesty, now 32, has no problem being taken seriously. His talented quartet has logged thousands of hours on the road, played countless venues and festivals, and evolved into a creative powerhouse hard to ignore. Its critically acclaimed fourth studio album, Beast from the East, (Space Duck Records) debuted at No. 1 on the Billboard Chart for Reggae Albums in April. Hardesty attributes the group’s successful trajectory to having a strong work ethic, setting specific goals, making strategic choices, and staying true to their brand. The most impressive raconteurs use words to transport listeners to another place and time, be it a long-since-filed-away memory or something never personally experienced but easy to identify with. 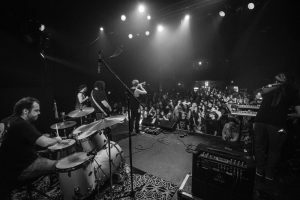 While the group has credited Sublime, The Beach Boys, Bad Religion, and Reel Big Fish as musical inspirations, its main lyrical influence is a four-letter word: life. In an effort to reach the most fans possible, Hardesty ensures his lyrics are as broad as they are impassioned. Take, for example, “City by the Bay,” the second track on the new recording. Hardesty’s contemplative lyrics bear witness to growing up in Maryland’s state capital and describe how both he and the historic city have changed over the years. While there is mention of the Chesapeake Bay by name, the chorus— “No matter where I go, I’ll always come back home. To my city by the bay, city by the bay”—could apply to any inlet from San Francisco to Biscay. By capitalizing on nostalgia and its wellspring of material à la singer-songwriting giants Bryan Adams and John Mellancamp, Hardesty achieves one of his main objectives to engage the audience. “I connect with words and want to bring that to other people,” he says. Delivering a musical message to the masses requires more than just finding the right words. Sometimes tough decisions are made in order to realize a band’s full potential. 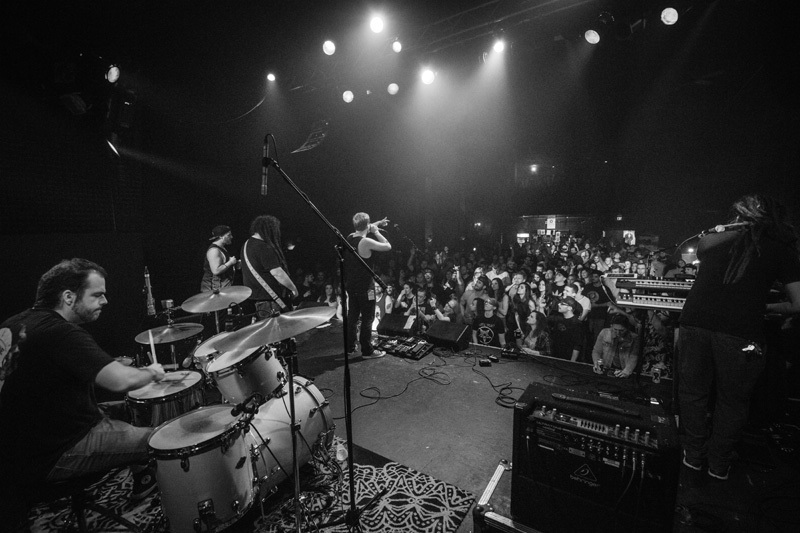 “[Hardesty]has always got a vision and a good plan, and while it’s changed over the years, it’s always been attainable,” says bassist Dave “Wolfie” Wolf, who also drives the band’s touring van. “We had to see the big picture and had to do things that aren’t exactly fun.” TJ Haslett became the band’s fourth drummer in April 2015. 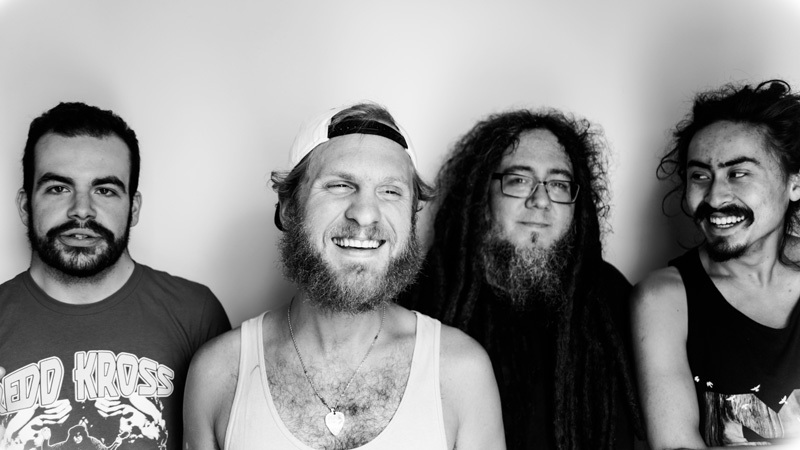 Last year, in an effort to elevate the overall sound, Bumpin Uglies added a fourth member: multi-instrumentalist Chad Wright, joining Hardesty and Wolf. Establishing a creative synergy is paramount to the group, and collaboration takes place along every step, from the studio to the stage. 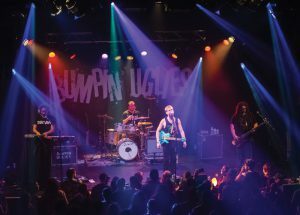 Bumpin Uglies’ biggest and most recent musical leap forward involved working for the first time with a producer, Howi Spangler, lead singer and guitarist of the Aberdeen-based band Ballyhoo! Over the course of about a year, the band painstakingly worked to create a robust East Coast sound showcase—a new album featuring contributions by musicians from the East Coast, including Spangler, The Movement’s Gary Dread, Passafire’s Ted Bowne, Ballyhoo!’s Howi Spangler, and members from Oogee Wawa, Sun-Dried Vibes, and Tropidelic. 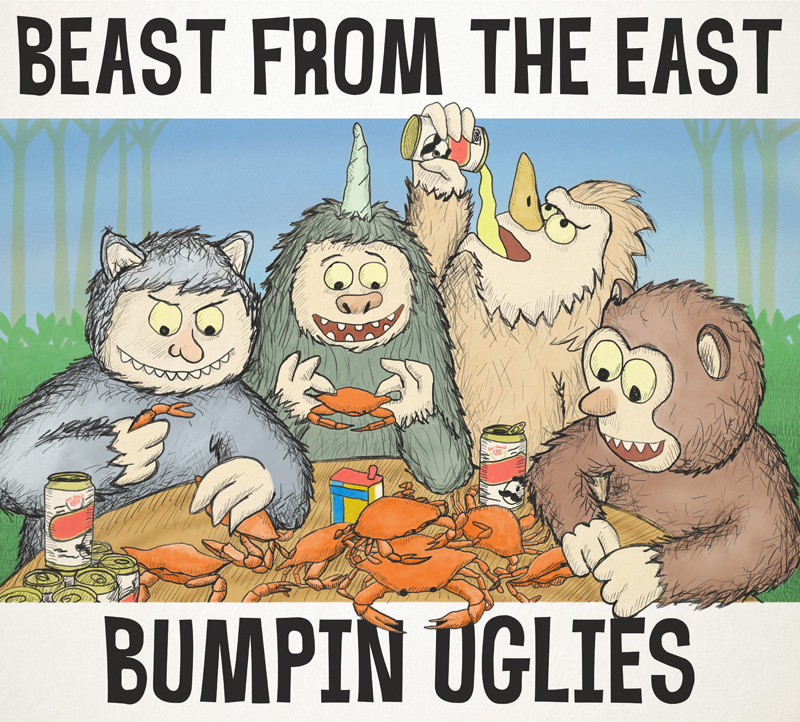 Artist Nick Kubley designed the record’s cover, with a clever Maryland spin on the beloved Maurice Sendak Where the Wild Things Are monsters. The resulting tracks and package are a testament to ambitious teamwork and Maryland pride. The Bumpin Uglies perform aboard the Harbor Queen for a three-hour booze cruise around the Chesapeake Bay on August 17, 2018. The Harbor Queen leaves from Dock Street in Annapolis. For more information, visit www.reggaeonthebay.net. Photo by Will Kubley. From left to right, TJ Haslett, Brandon Hardesty, Dave Wolf, Chad Wright. Error: Error validating access token: Session has expired on Saturday, 09-Mar-19 15:57:50 PST. The current time is Tuesday, 23-Apr-19 01:42:22 PDT.